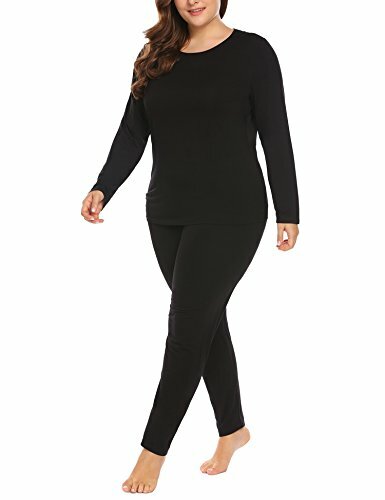 FEATURE - Lightweight thermal PJs that keep you cozy year-round.Curvy long johns set, Skinny Slim thermal sets with thermal leggings and long sleeve crewneck top. Cute and comfy warm longns, winter thermal base layers. Lightweight but warm. Thermal knit retains body heat to keep you warm. MODEL SIZE - Wear Size 16W/XL . Height 5'7"（173 cm）, Bust 40.6" (102 cm), Waist 33.9"(86 cm) Hips 44"(112 cm) Weight 83 KG. If you have any questions about this product by Vpicuo, contact us by completing and submitting the form below. If you are looking for a specif part number, please include it with your message.